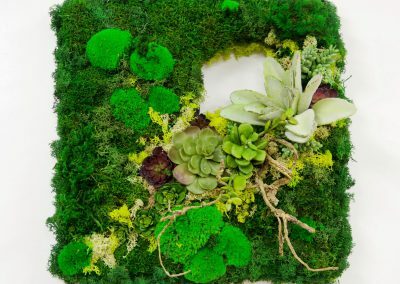 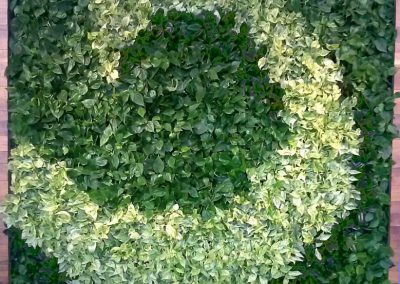 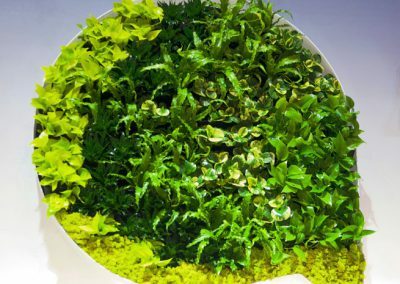 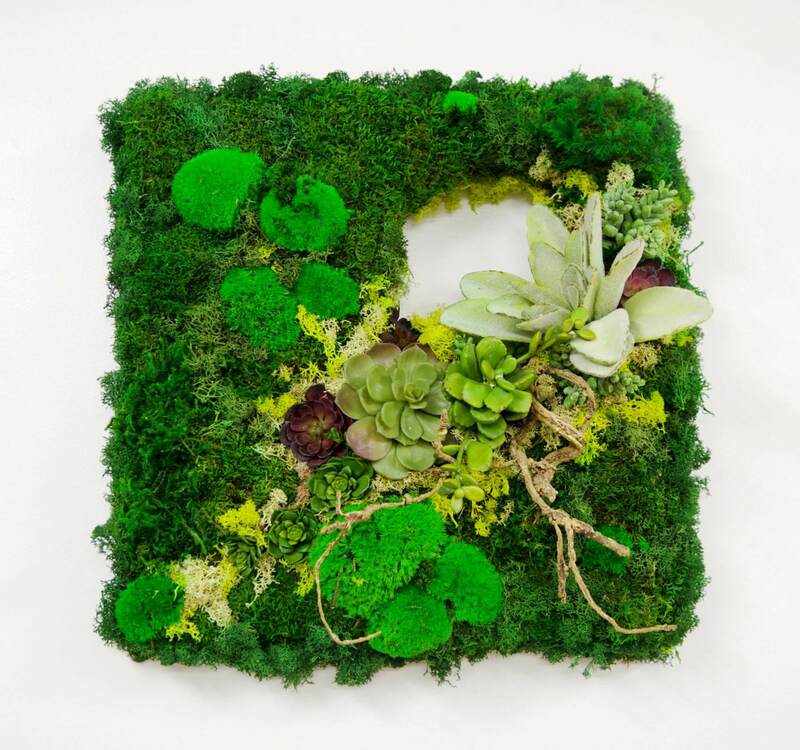 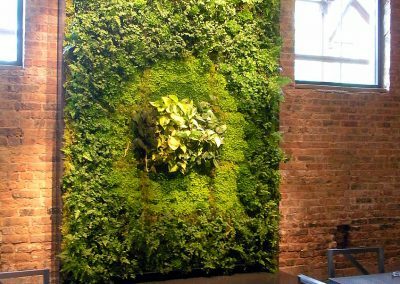 Green walls, also called living walls, vertical gardens or wall gardens, are the latest and greatest trend in landscape design. We like to think of them as living architecture. 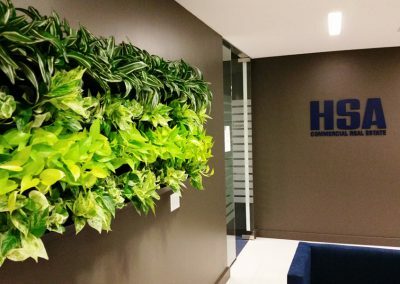 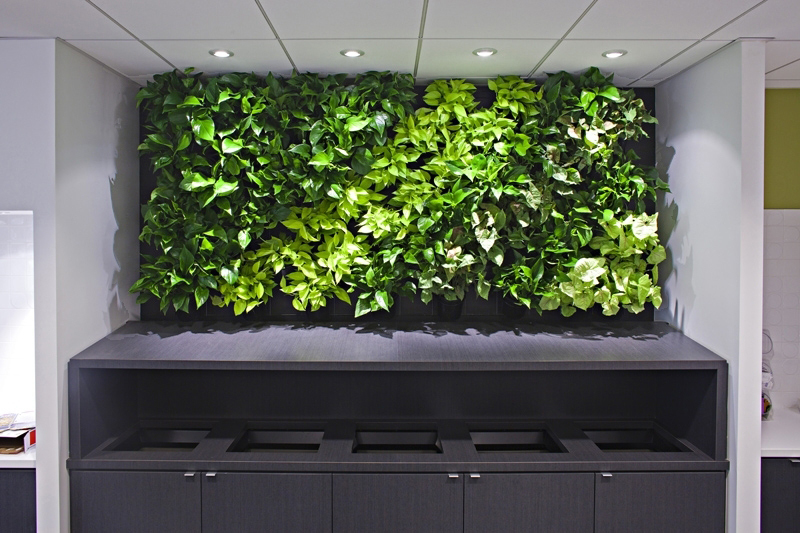 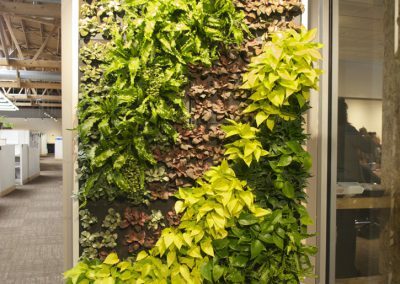 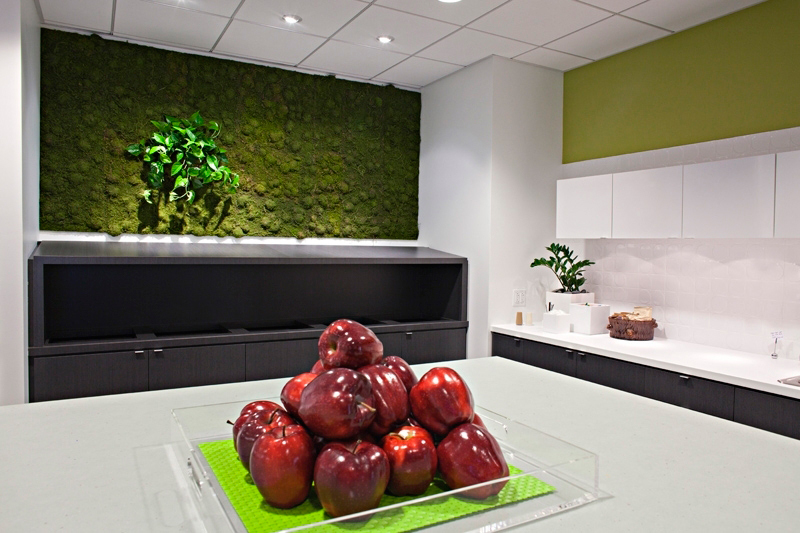 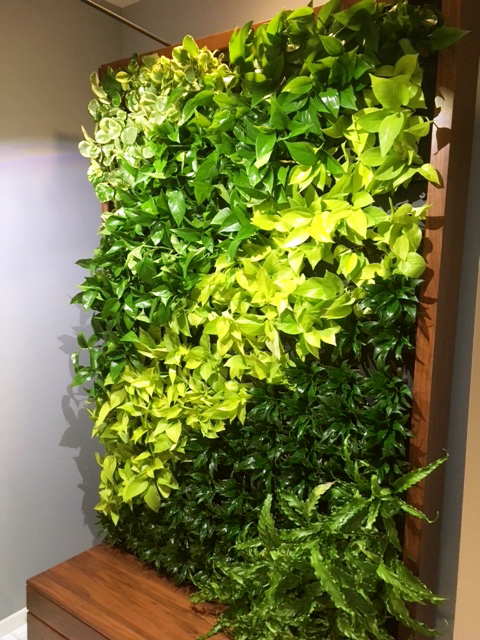 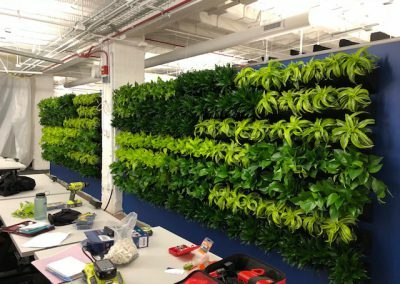 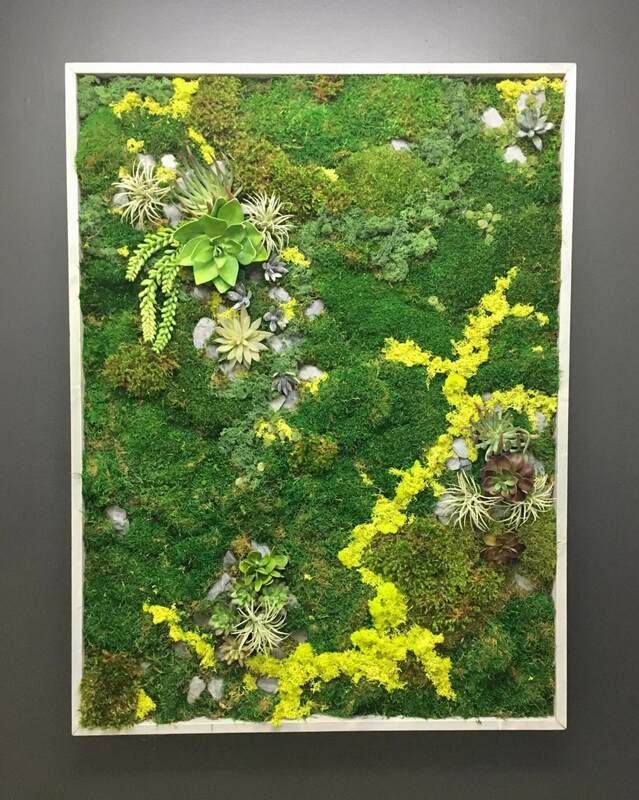 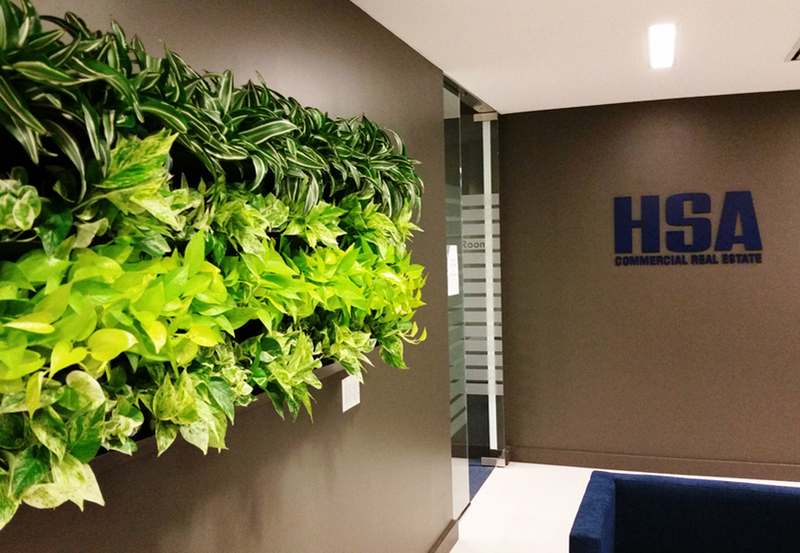 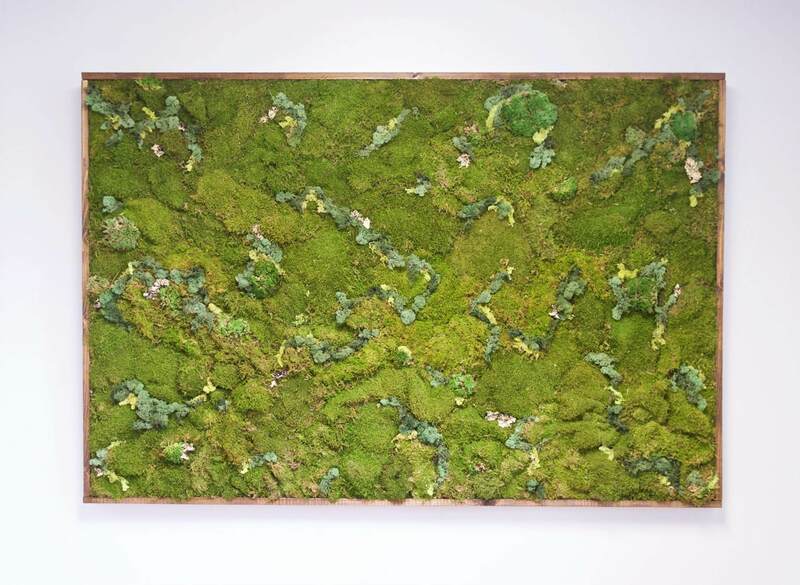 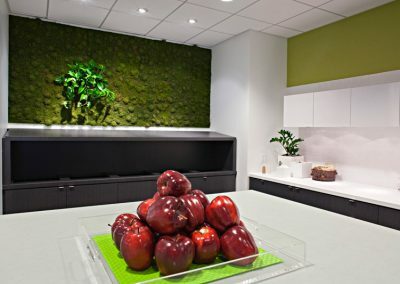 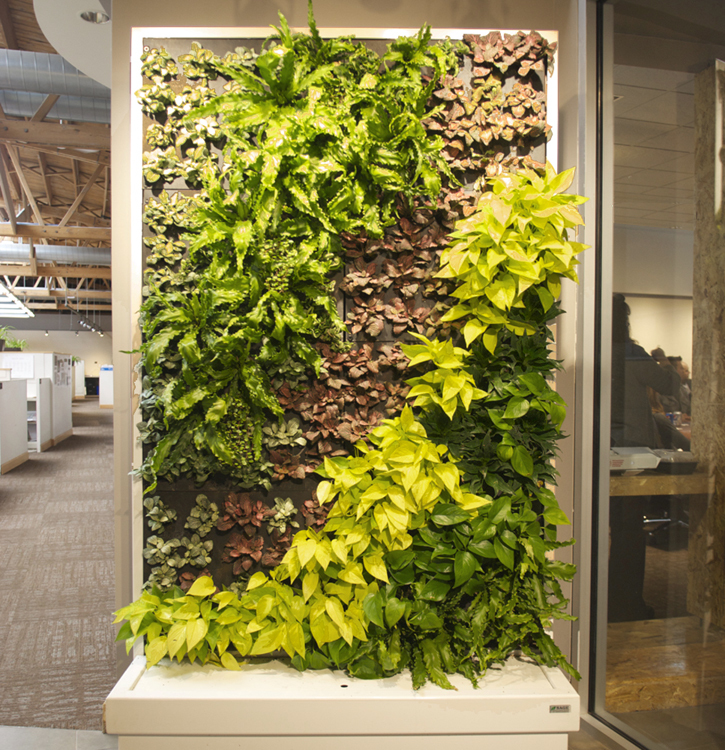 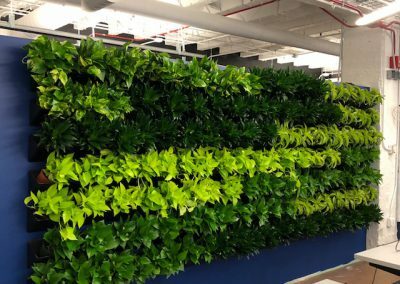 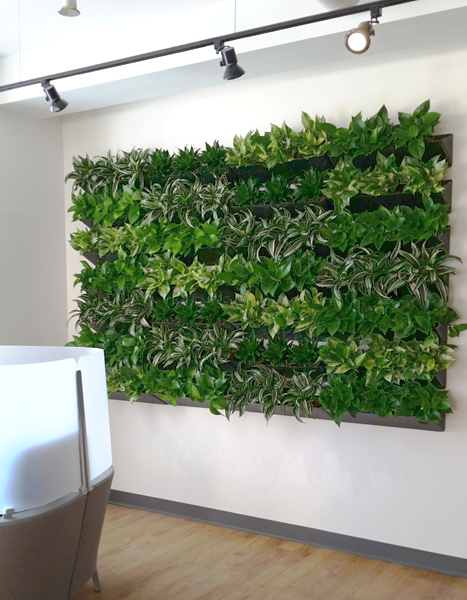 Green walls allow us to incorporate the benefits of living, green plants into a distinctive, yet functional custom design in an unexpected place – your wall. 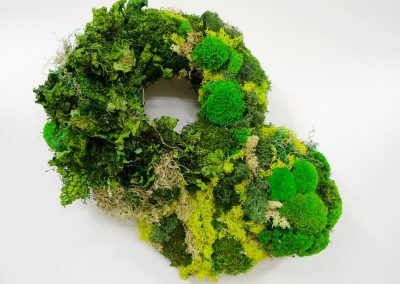 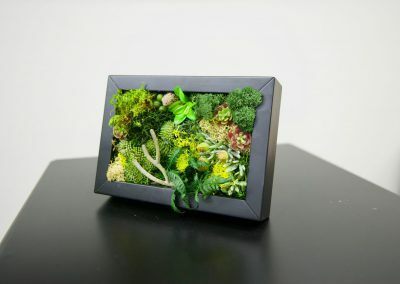 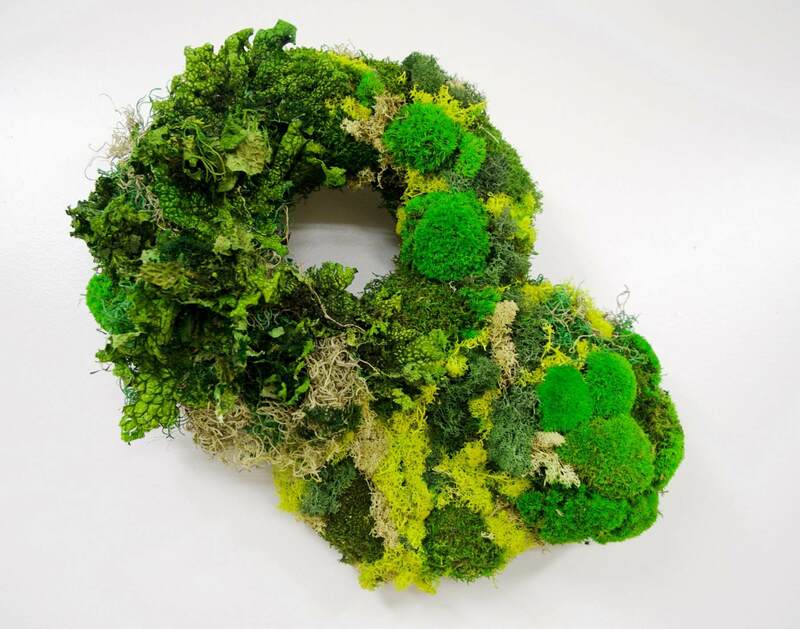 In fact, green walls can take the place of traditional artwork for a completely unique and undeniably fashionable new look. 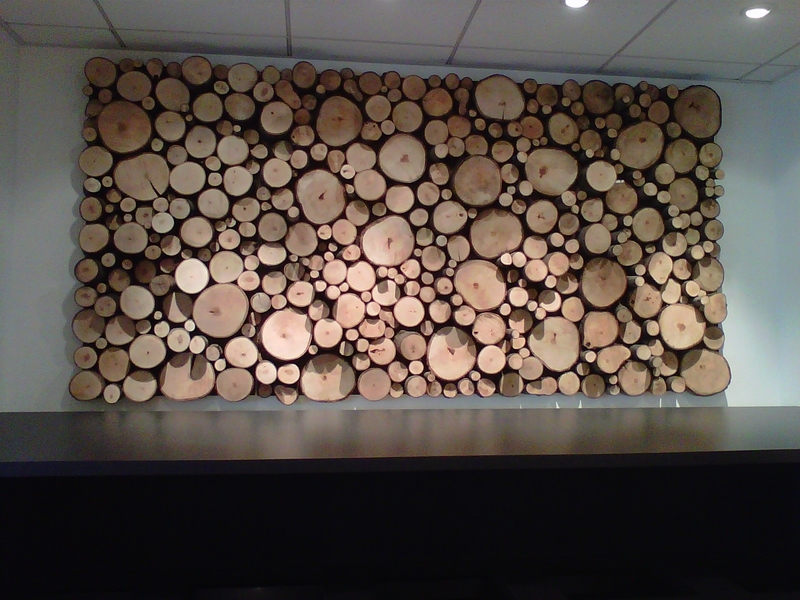 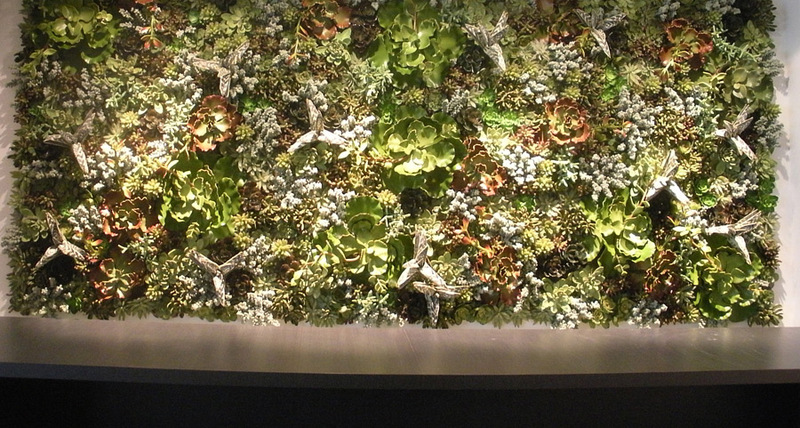 They can be used on an exterior wall, or they can bring a hint of the outdoors inside, in a decorative, striking way. 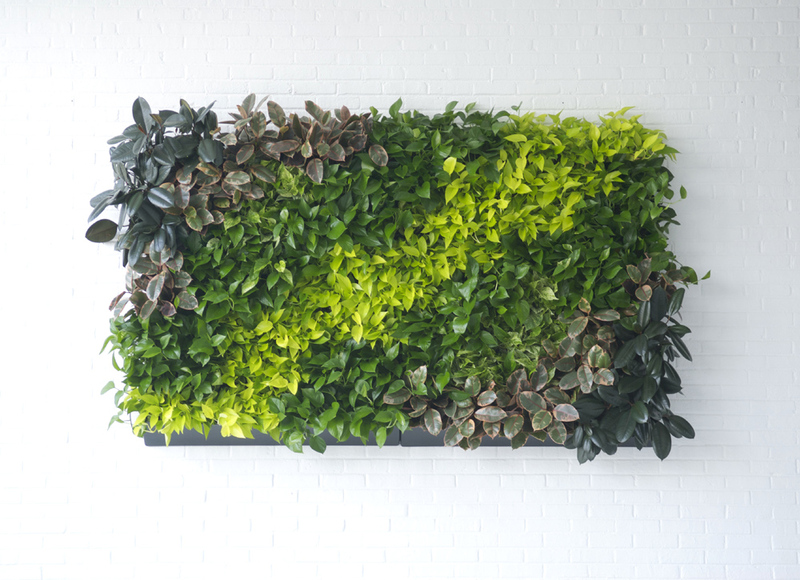 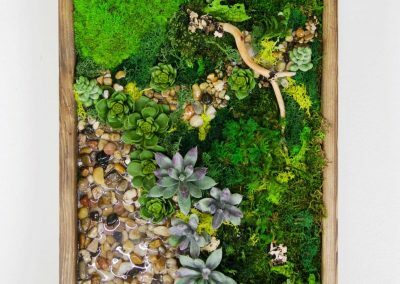 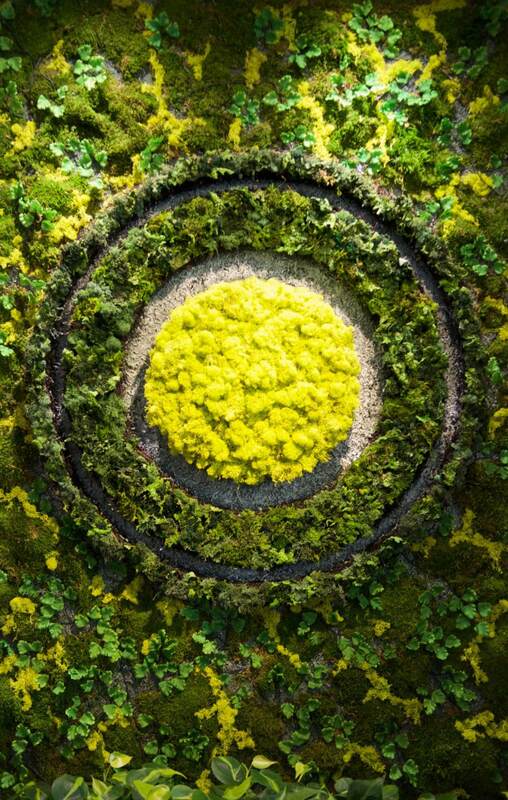 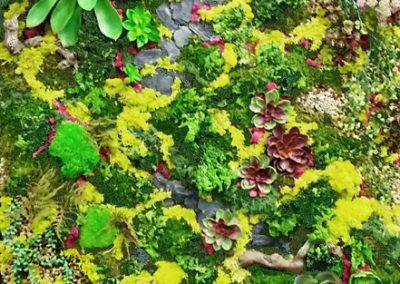 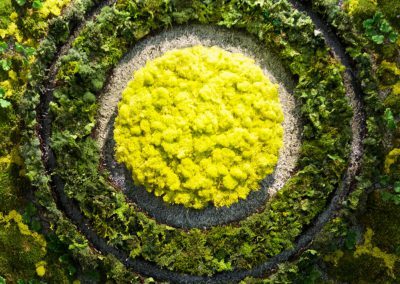 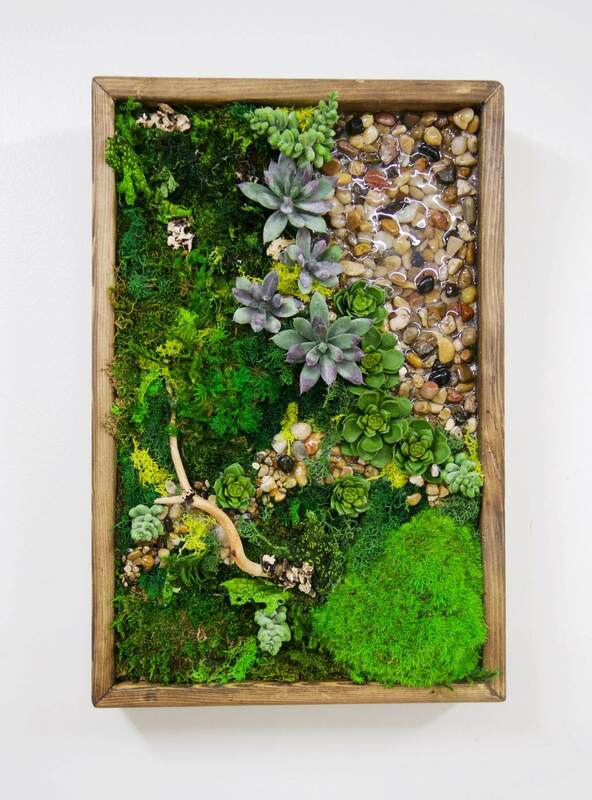 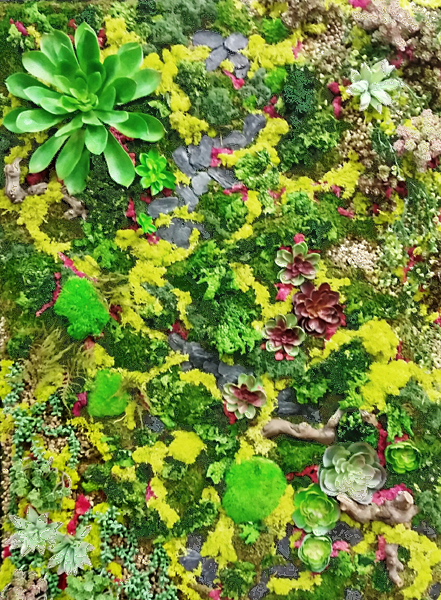 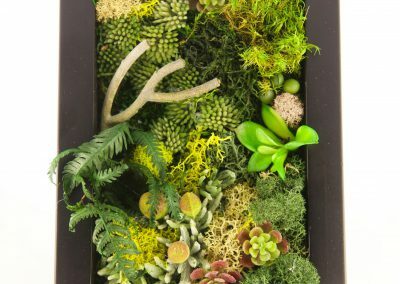 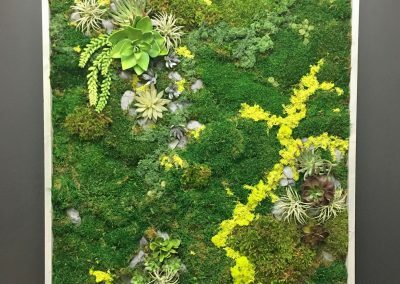 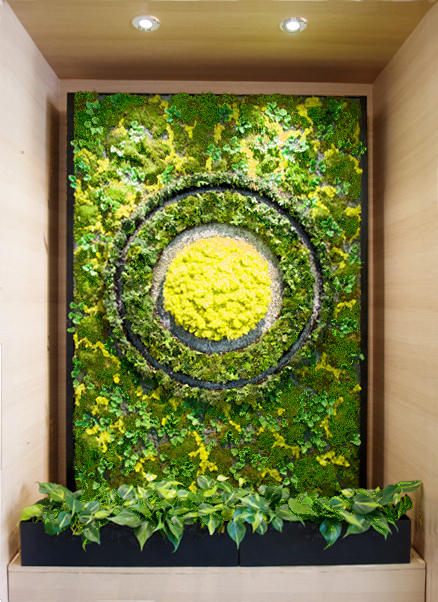 To create a stunning living wall, we pay close attention to selecting interesting smaller details that will work together successfully as a whole. 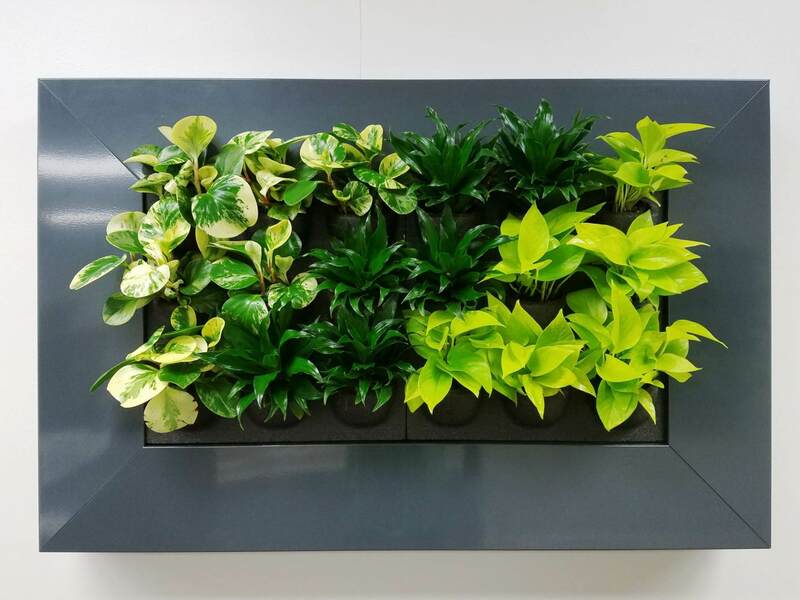 As we conceptualize your design, we’ll consider the ongoing care of the plants, as well as your overall color and style scheme, to create an exclusive design that’s right for your space. 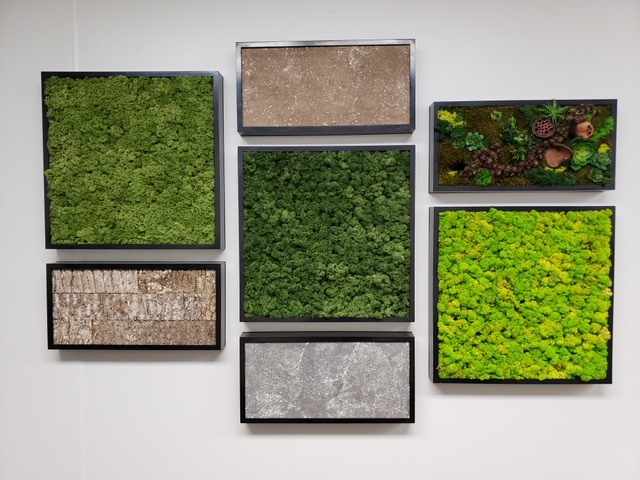 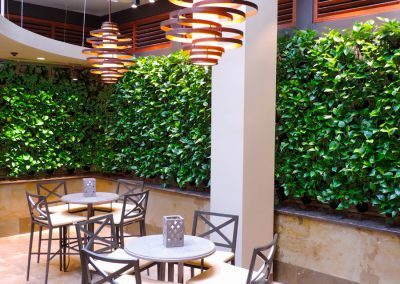 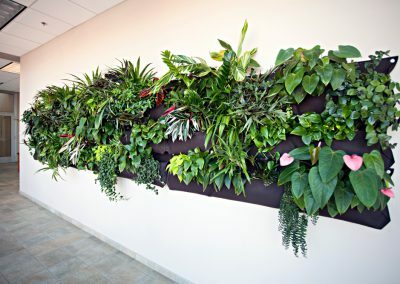 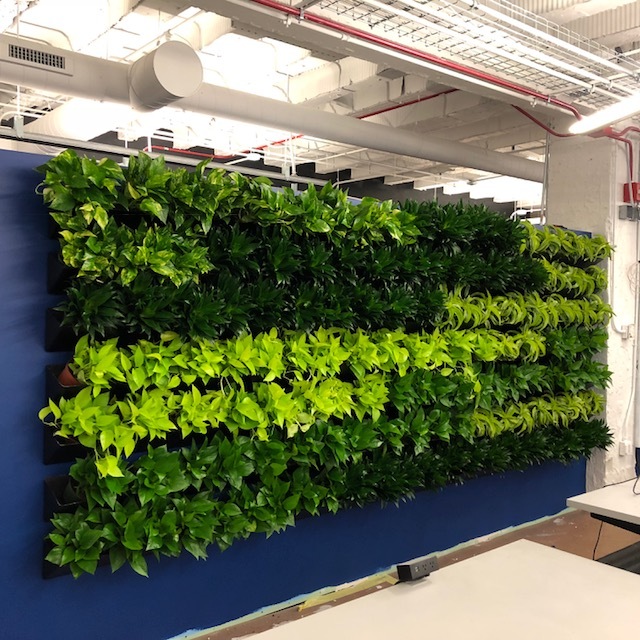 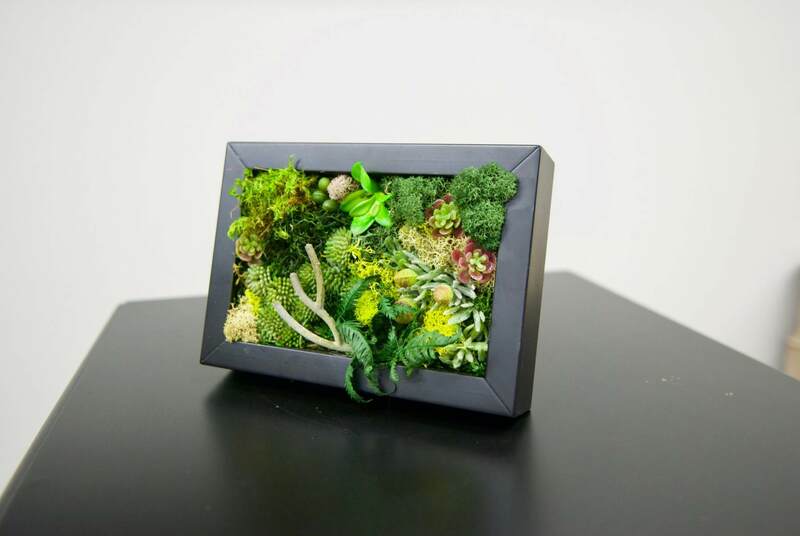 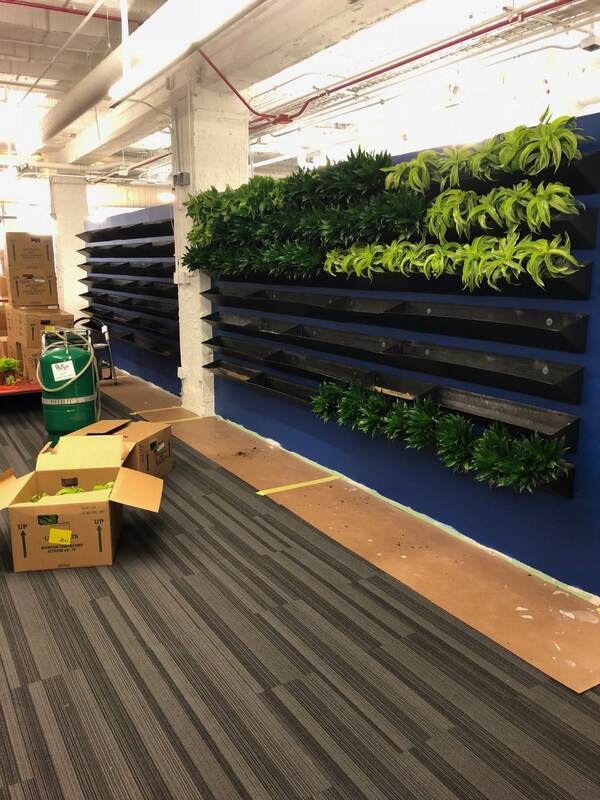 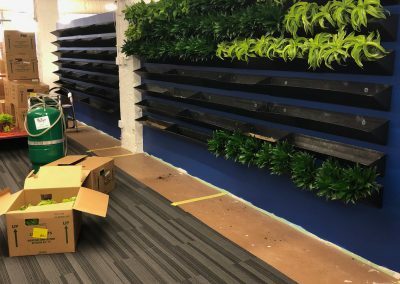 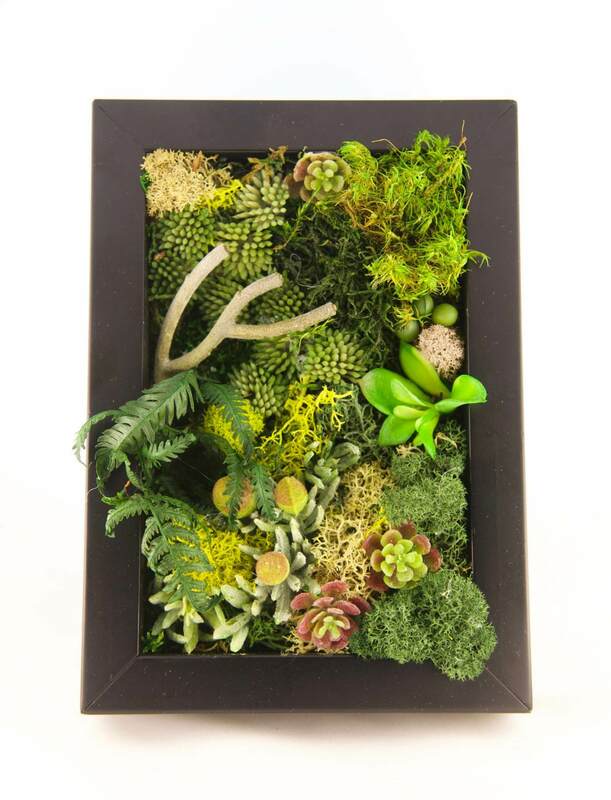 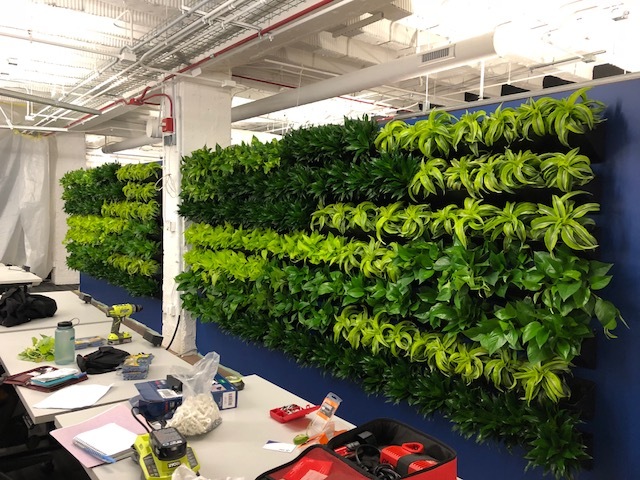 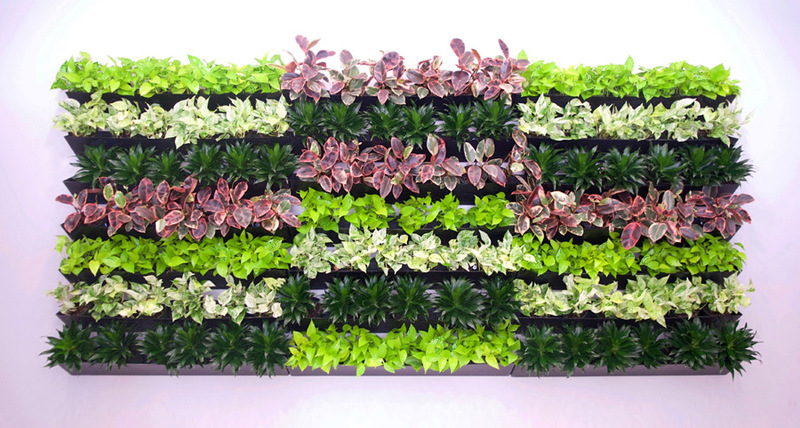 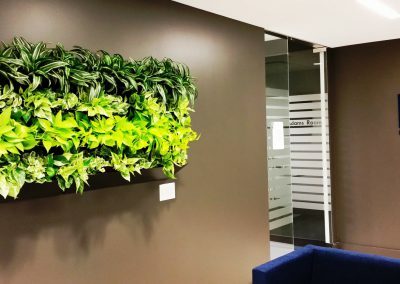 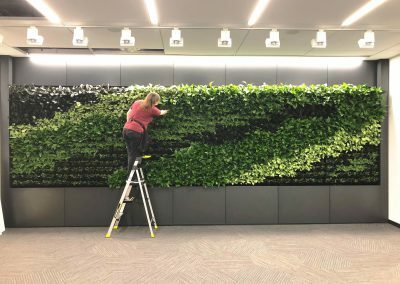 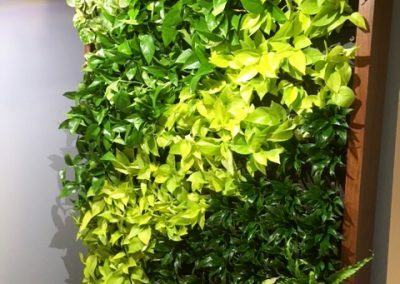 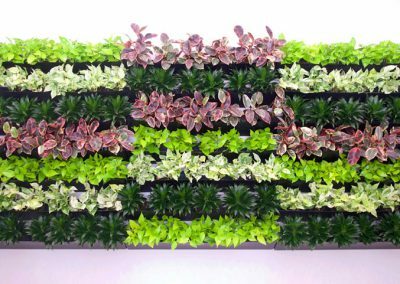 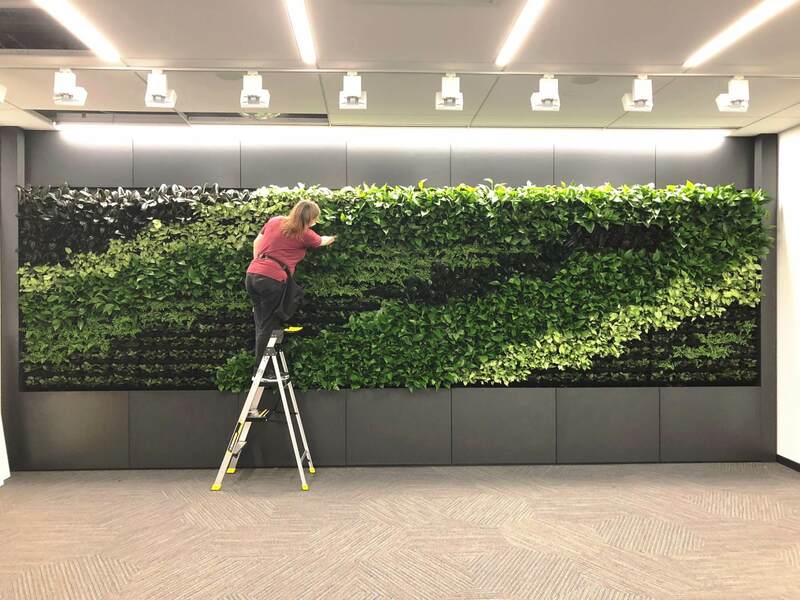 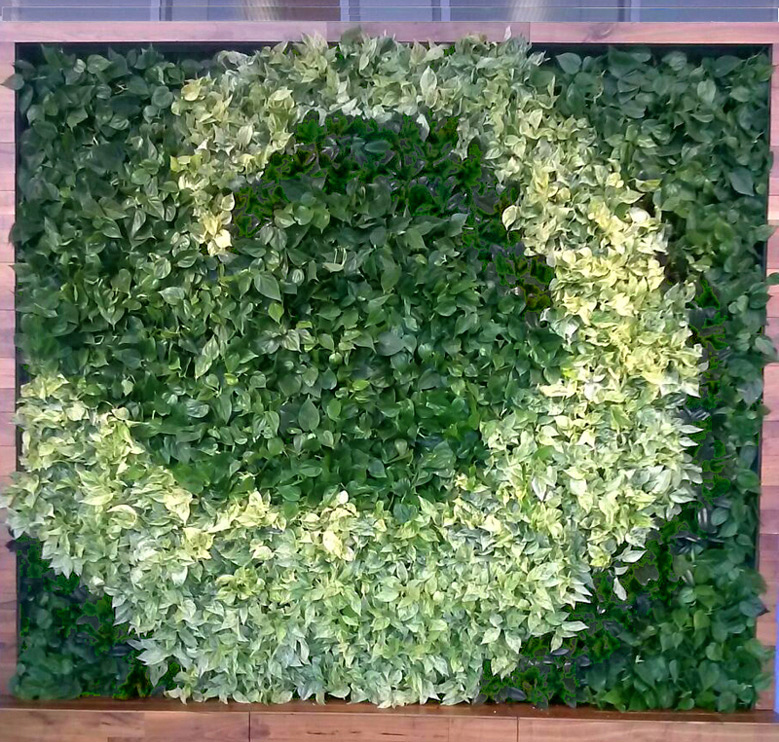 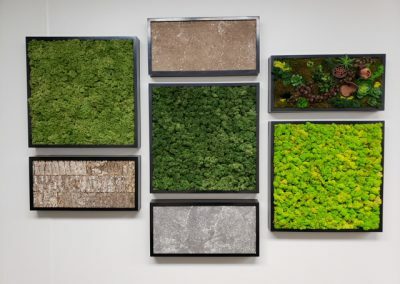 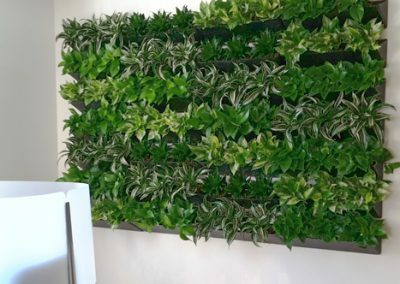 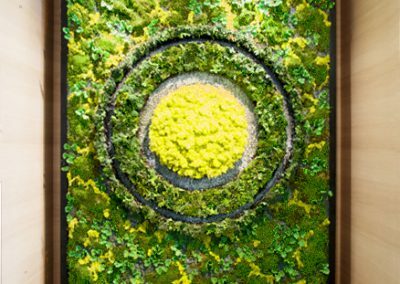 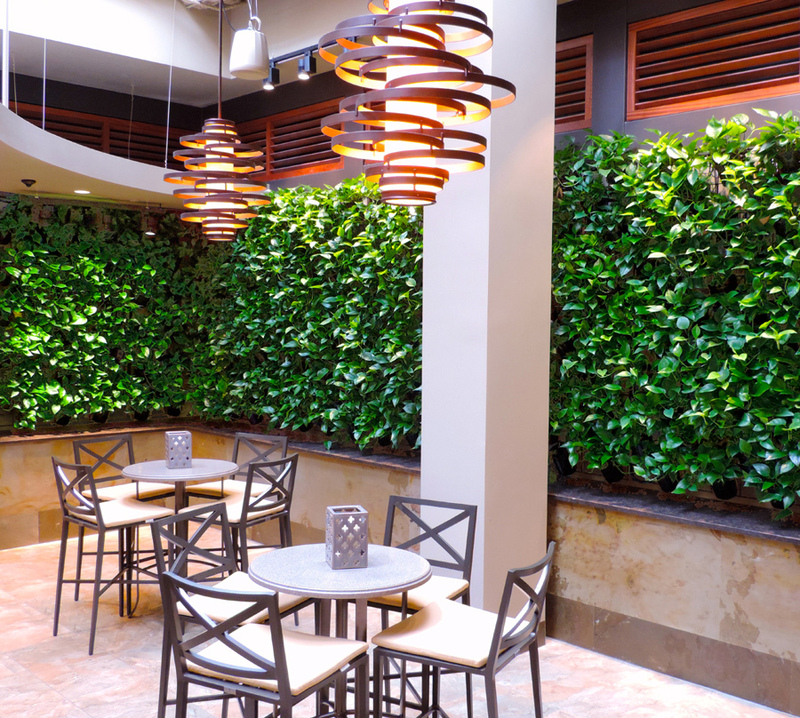 Phillip’s Interior Plants & Displays is focused on providing the very best in customer service, and so we handle every aspect of the installation of your green wall or vertical garden for you – with minimum disruption to your business. 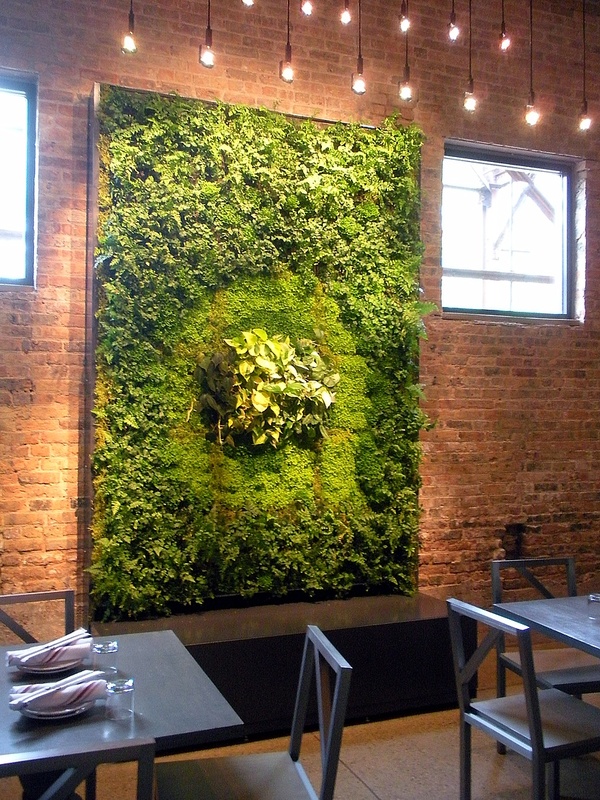 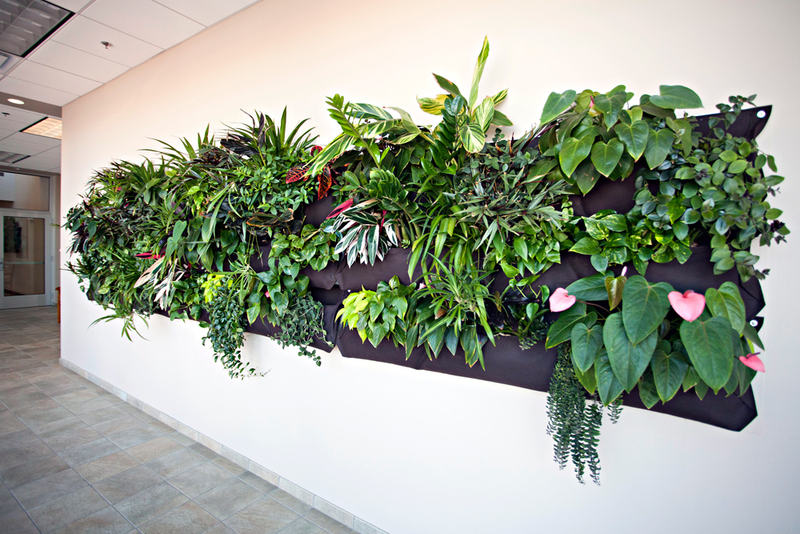 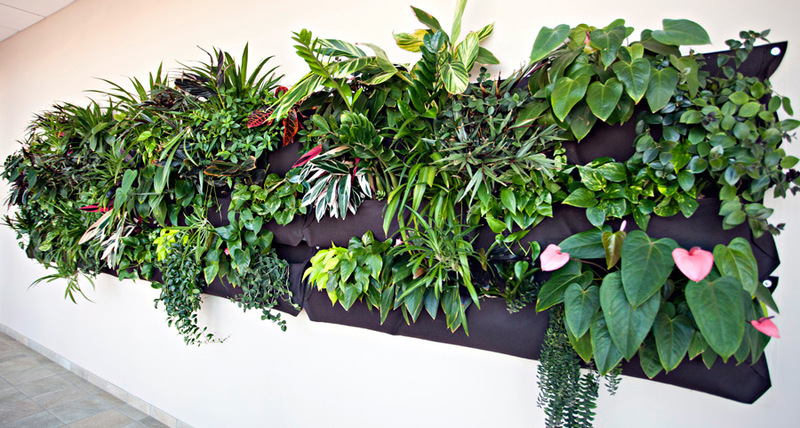 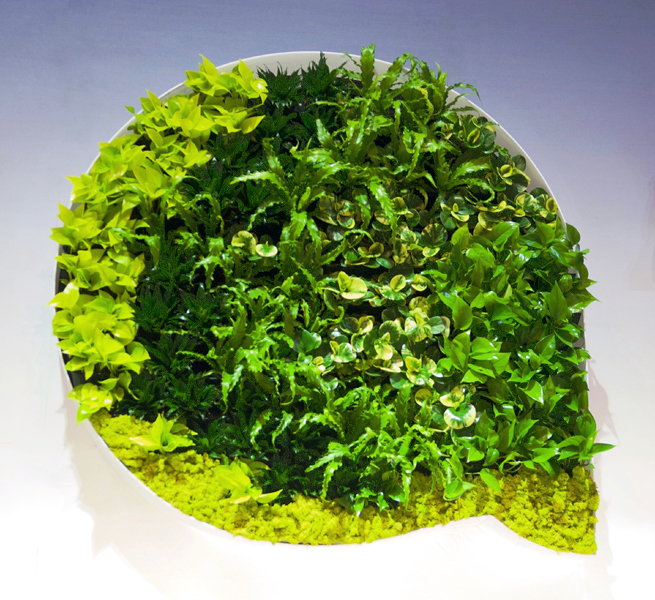 We take great care in choosing the right plants for your living wall, so ongoing maintenance is much easier. 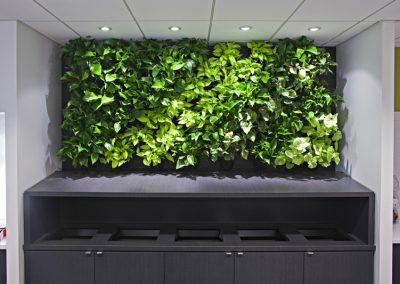 And we take very good care of your wall garden by providing all of the service it needs, so your office space stays lush and beautiful.